Peter Pan is a character created by Scottish novelist and playwright J. M. Barrie. A mischievous boy who can fly and who never ages, Peter Pan spends his never-ending childhood adventuring on the small island of Neverland as the leader of his gang the Lost Boys, interacting with mermaids, Native Americans, fairies, pirates, and occasionally ordinary children from the world outside of Neverland. In addition to two distinct works by Barrie, the character has been featured in a variety of media and merchandise, both adapting and expanding on Barrie's works. 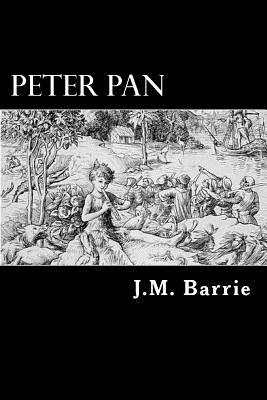 Sir James Matthew Barrie, 1st Baronet, OM (9 May 1860 - 19 June 1937) was a Scottish author and dramatist, best remembered today as the creator of Peter Pan. The child of a family of small-town weavers, he was educated in Scotland. He moved to London, where he developed a career as a novelist and playwright.